Cosmetic dentistry is an investment in your oral health, both aesthetically and financially. The cost of Cerinate Lumineers, or any smile enhancement, should never discourage you from pursuing a smile makeover. Any price you pay for a new smile will pay dividends professionally, socially, and personally, thanks to the self-confidence you gain from knowing your teeth look amazing. New York City cosmetic dentist Dr. Michael J. Wei has a practiced hand in delivering smile makeovers to his patients through no-prep Lumineers. As you explore smile makeover options with your Manhattan cosmetic dentist, you will consider the cost of treatment, but also the length of treatment and the longevity of the final product. Lumineers patients know their smile will be transformed in just two or three dental visits and that Lumineers smiles are proven to last up to 25 years with no discoloration. This lifetime investment, for them, is worth any budget-crunching they must do to make their smile makeover possible. A natural-looking appearance. You want your teeth to look amazing, but you don’t necessarily want people to know that you’ve had something done to your teeth. Lumineers are natural-looking and mimic the appearance of natural teeth in color, shape, size, and translucency. Plus, they’re stain-resistant. Versatility. You can have several oral health problems and no-prep Lumineers can fix them all. From cracks to chips, stains to misalignment, one all-encompassing cosmetic dentistry treatment can correct all your complaints at one time. Durability. Lumineers are made from incredibly strong and paper-thin porcelain that is durable and lasts for decades. With the proper at-home care and preventive care at your dentist’s office every six months, you can have a smile that continues to look beautiful and flawless. Minimally invasive. Some patients drag their feet when it comes to porcelain veneers because they don’t want their natural teeth altered. 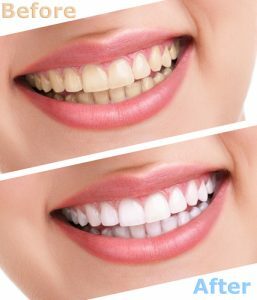 Lumineers are a no-prep cosmetic dentistry solution that requires only minimal sanding of your teeth to make room for the porcelain shells. You may even qualify for one-hour porcelain veneers. Now that’s a dramatic smile makeover you can sink your teeth into. How many Lumineers you will receive. Other cosmetic or restorative treatments you may be having done. The lab used by your dentist. The expertise of your cosmetic dentist. Before undergoing any smile makeover treatment, it is critical to learn about the cosmetic dentist who will be treating you. Dr. Wei is a certified Lumineers dentist who is extremely experienced in creating new smiles with Lumineers. He is meticulous in his delivery, settling for nothing less than a flawless new smile. There are plenty of dentists who may promise to give their patients perfection, but they may not be able to support their claims. Dr. Wei is an established and much-lauded New York City dentist. 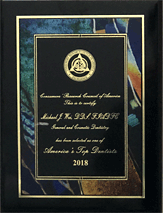 He knows that his patients want new smiles as efficiently as possible, but they also want smile makeovers that will last for a long time and serve them well in all facets of their life. 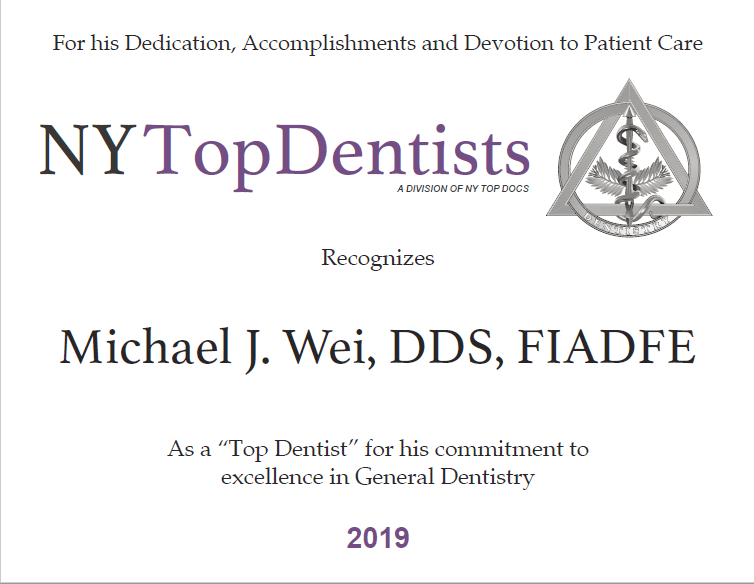 With Dr. Wei, you are investing in a new smile for the present and future. Lumineers are popular for a variety of reasons: They transform smiles completely, can be done relatively quickly, and are a minimally invasive treatment. In most situations, Lumineers are considered a cosmetic enhancement and are unlikely to be covered by dental insurance. It is always wise to check with your insurer, however, to see if this is the case. Sometimes the reason for needing a smile makeover can inform the insurance decision. Our Midtown Manhattan dental office accepts Care Credit, a leader in financing dental services that offers affordable financing options, including 0 percent interest for 18 months. Interest rates are fixed and low, and payments can be as low as $125 a month for a $5,000 treatment fee. Financing plans are available for patients of all ranges of credit history. There are no application fees or prepayment penalties. Along with Care Credit, we accept cash, checks, credit cards, and dental insurance. Dr. Wei wants your smile makeover dreams to be a reality. He knows how life-changing a new smile can be, and sees how his patients are transformed physically, emotionally, and mentally. We want to make sure you have a stress-free Lumineers makeover. Above all, we want you to know that you deserve – and can afford – this investment in yourself. Contact Dr. Wei at our New York City dental office to talk about no-prep Lumineers.